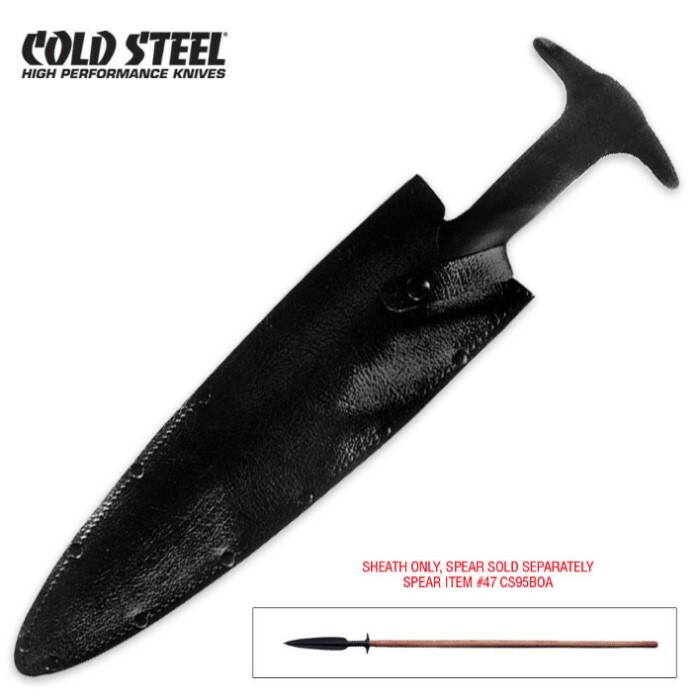 Secure-Ex sheath for item Cold Steel Boar Spear, part number TS-TCS95BO. Spear and spear head separately. Extremely good quality as expected from Cold Steel. Good quality leather, with metal studs keeping the two pieces together. Well worth the price on account of how sharp the boar spear is!